Scarlett Johansson Covers 'Vogue' with Women Representing Global Talent! 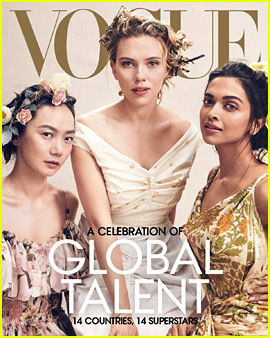 Scarlett Johansson is featured on the cover of Vogue‘s April 2019 issue, which celebrates female talent from 14 countries around the world. The Avengers actress shares the main cover with South Korean actress Doona Bae and Indian actress Deepika Padukone. Featured on the second cover are French actress Lea Seydoux, Chinese social star Angelababy, Australian actress Elizabeth Debicki, and Nigerian actress Adesua Etomi-Wellington. For more from the issue, visit Vogue.com! Emma Stone & Alicia Vikander Model Louis Vuitton's New Bags! Alicia Vikander, Joe Jonas & Sophie Turner Attend Louis Vuitton Exhibition in Shanghai! 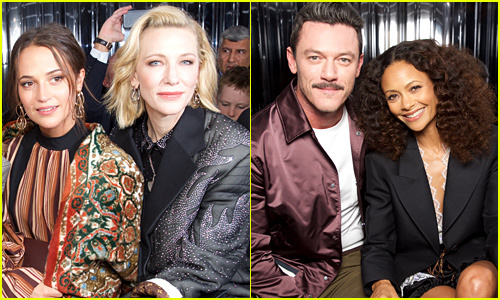 Emma Stone, Sienna Miller, Justin Theroux & More Stars Attend Louis Vuitton Cruise 2019 Show in France! 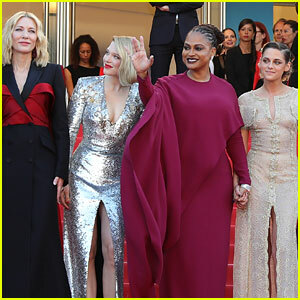 Kristen Stewart & Cate Blanchett Join Cannes Jury Members at Closing Ceremony! T&A is not a talent..its very much appreciated, but not a talent. …..and yet the white women are front and center of these covers. Great idea, contradictory result.